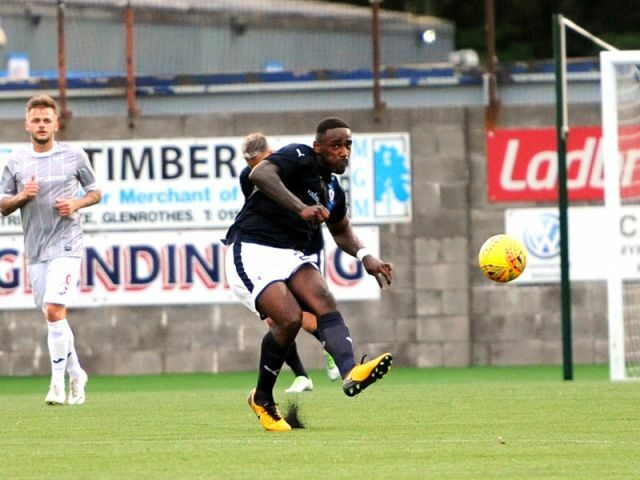 Raith Rovers good start to their pre-season campaign continued on Wednesday evening, with a 2-1 win over Fife rivals Dunfermline. 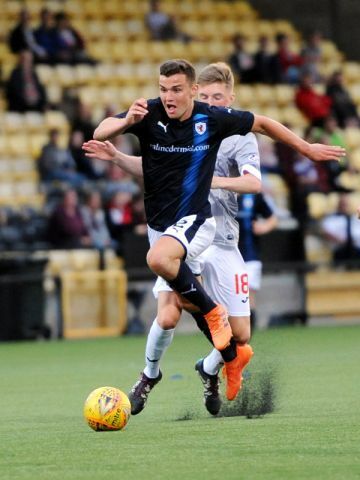 New acquisition, Grant Gillespie had given Rovers an early lead, only for the Pars to hit straight back through Lewis McCann. 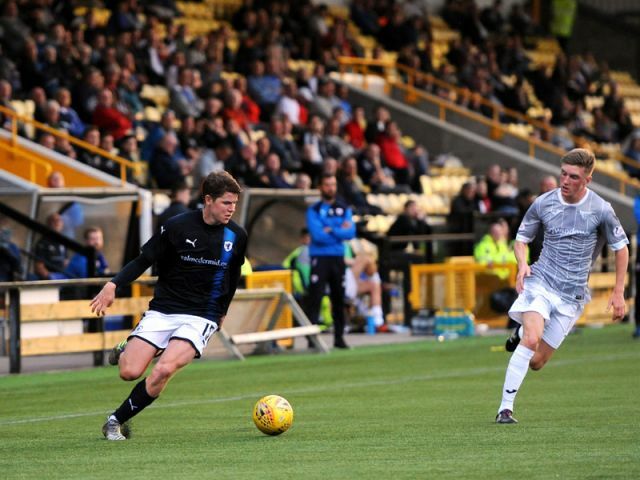 However, Ross Matthews completed the scoring and the win, with a goal ten minutes from half-time. Manager Barry Smith started with two trialists in the starting eleven, with one in goals, and another up-top alongside Liam Buchanan. Two new additions were also in there, with Gillespie and Nathaniel Wedderburn in the centre of the park. Chris Duggan made do with a place on the bench, while Lewis Milne missed out with a knock, as did Lewis Vaughan. 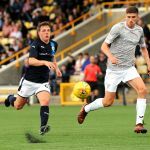 Former Hamilton and Dundee United man Gillespie may be regarded as a more defensive minded midfielder, but he seemed more than happy to get forward in the game’s opening moments. 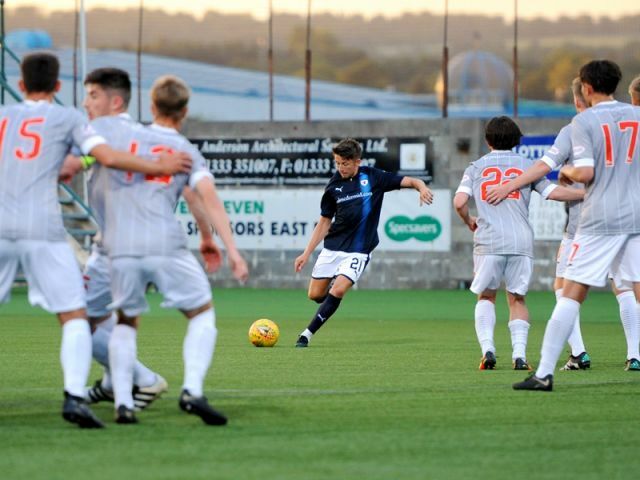 In the first few seconds, his attempted one-two with Buchanan on the edge of the area was only thwarted by Mark Durnan making a vital interception as he shaped to shoot. Then, his 25-yard free-kick seemed sure to be ruffling the net, only for it to veer the wrong side of the post. There was a reasonably good tempo to proceedings, with both teams keeping it on the deck, although Dunfermline were almost gifted a goal after quarter of an hour, when a misplaced pass from the trialist allowed Louis Longridge to play in Andy Ryan, but from a tight angle inside the area, he could only send his shot wide of the Raith goal. Rovers took the lead two minutes later, and it was their most eye-catching player who got it. A quick-throw in found Buchanan on the right, and his low cross picked out the trailist in the middle, with his back to goal, he was unable to swivel and get a shot away cleanly, but Gillespie was on hand to thump the ball home from close range. 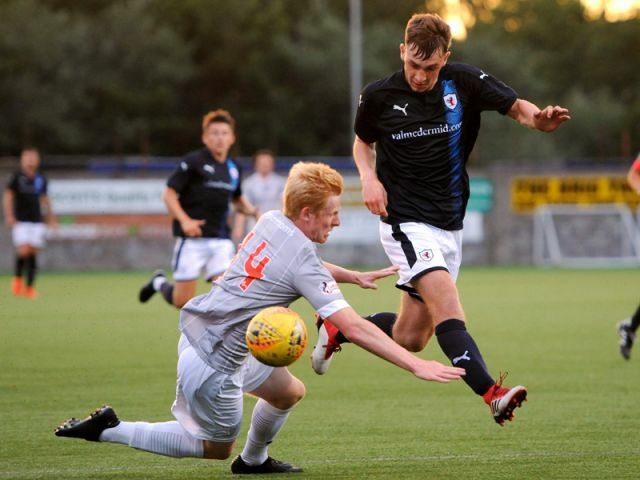 Allan Johnston’s men weren’t behind for long though, equalising just five minutes later, after a mix-up between Wedderburn and Iain Davidson. 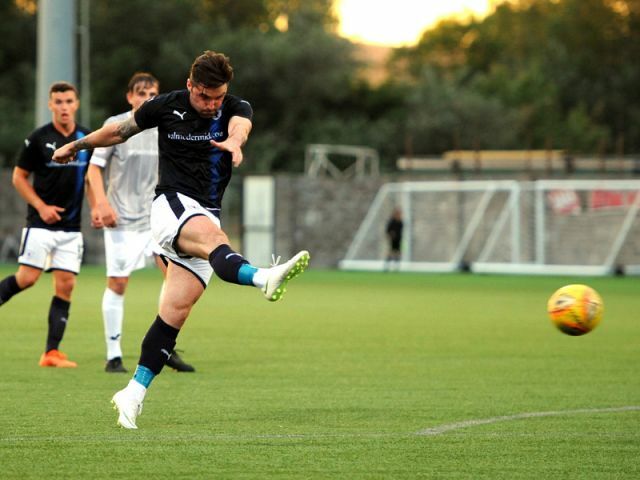 The former’s short pass to the latter, was pounced on by Longridge, who teed up McCann, with the teenager placing his shot past the trialist from just outside the penalty area. The pace of the game seemed to slow after that, although there was still some impressive football on show, with Kallum Higginbotham and Longridge the two men in grey who were looking to make things happen for the East End Park club. They almost took the lead in comedic fashion on the half-hour mark, when Longridge was put through on goal, only for James Watson to clear the ball off his toe, rattling it off Matthews in the process, with the ricochet luckily landing in the trialist ‘keeper’s hands. 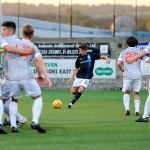 Rovers regained the lead in the 36th minute however, when Durnan was adjudged to have manhandled the trialist in the penalty area. Buchanan was the man to take it, but his effort was well saved by Gill, diving low to his left, but Matthews was on-hand to slot home the rebound. 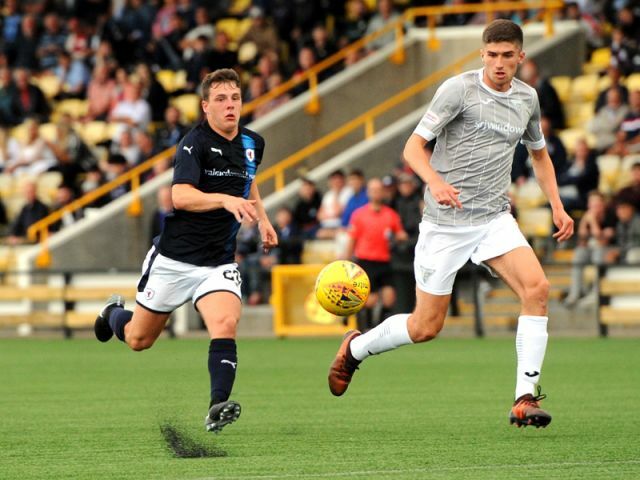 Duggan replaced Buchanan at the interval, and the former East Fife forward demonstrated he wasn’t shy at having a go, as he lashed an effort towards goal from around 40-yards moments after the restart, but it was closer to landing in the Firth of Forth than Cammy Gill’s net. He was far more accurate a few moments later though, after being given a sight at goal by Davidson, who had strode out from defence and played a good pass through, however, from a tight angle, Gill was able to gather. 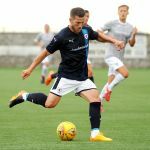 Duggan was showing up well since his introduction, winning a fair amount of headers, and demonstrating a reasonable turn of pace, as he refused to give the Pars defence a minute’s peace. There were 13 changes made simultaneously in the 63rd minute, which caused some consternation for the match announcer. 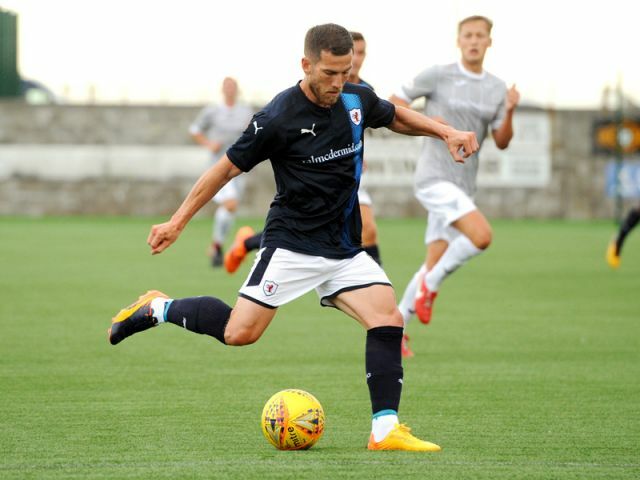 Dunfermline made 10 of them, swapping everyone bar the one change they’d made at half-time, while for Rovers, a trialist, Ryan Stevenson and Dave McKay came on for Wedderburn, Davidson and Euan Valentine. Shortly after, James Berry came on for Gillespie. Both sides now had a very youthful look about them, but it was the Rovers youngsters who were playing the better football, in particular a triangular move involving Stevenson, Berry and Watson, which didn’t quite create the opening it deserved. The final goalmouth incident came with around ten minutes remaining. The forward trialist found Watson in the area, and although he was brought down, and the referee motioned to give the penalty, he changed his mind, as the ball had rebounded back to the trialist who was now clean through on goal, however, the Pars substitute trialist goalkeeper narrowed the angle and blocked his effort. It was the final action of an interesting game, with promising performances from the newbies as well as the ‘old guard’ and youngsters. 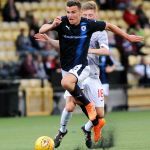 Rovers will now look to complete their pre-season campaign this Saturday with a potential closed doors match, before the League Cup kicks off with a match against Cowdenbeath at Methil a week later. Rovers kick off and Gillespie makes an impact by shooting wide from a Buchanan assist. A Dunfermline player is down in the Rovers box receiving treatment. Devine gets back on the pitch. Dunfermline pressing since the restart. Valentine lays off to Buchanan who sclaffs a shot from 25 yards. Ryan benefits from a poor pass from Trialist A and is forced to shoot wide due to the attention of Watson. Trialist A free in the box, his deflected shot fell to Gillespie to fire home from 6 yards. Ryan lays off to McCann who slots the ball low past Thomson at his left post. A long ball from Devine is bound for Ryan but is intercepted by Watson. Lewis McCann fires in from the edge of the box, Thomson holds well. Louis Longridge shoots narrowly wide from the edge of the area. Penalty for Rovers, Trialist A held down. Buchanan shoots to the keepers left, Gill saves but Ross Matthews fires the rebound into the roof of the net from a tight angle. GOAL ROVERS. Ryan speculates with a high shot from 30 yards. Louis Longridge off, Todd on. Buchanan off, Duggan on. Matthews curls a ball in from 25 yards, Gill coming out to claim. Craigen squares to McCann who shoots wide from 25 yards. Matthews crossed from the right, Valentine watched as his looping header is collected by Gill. Substitute Todd hits a low ball which is held by Thomson. Duggan duels with Durnan on the left of the box and finally gets a shot in which is parried by Gill. Dunfermline sub their entire team, if you want names you've had it. Valentine, Wedderburn off, Trialist B and McKay on. Attendance 701, of which 266 are Dunfermline supporters. Duggan and Watson tormenting the Pars defence. Watson, Duggan and Stevenson interacting well, teasing the Pars defence. Thomson, Watson, Davidson, Murray, Benedictus, Gillespie, Buchanan, Matthews, Trialist A, Valentine, Wedderburn. Subs, Trialist B, Duggan, McKay, Stevenson, Berry, Trialist C.
Gill, Williamson, J Longridge, Devine, Durnan, Martin, Higginbotham, Craigen, Ryan, McCann, L Longridge. 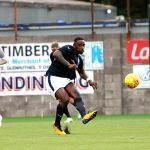 After a close doors win over Partick Thistle at the weekend, Raith make their second pre-season outing on Wednesday evening, at New Bayview against Dunfermline Athletic. The two sides met in the build up to last season, with Rovers winning 3-0, although both teams are much changed from that encounter. Allan Johnston’s side ended up losing out in the playoffs to Dundee United last term, and despite exceptional form in the first and last quarter of the campaign, a number of players have exited East End Park over the summer. Nicky Clark and Fraser Aird both made the move to Tannadice, with another duo, Declan McManus and Callum Morris signed for Ross County. Dene Shiels is now at Derry City and Jason Talbot, has signed for Cowdenbeath. Nat Wedderburn has of course just signed for Barry Smith’s side. At the time of writing, the other departures, Jean Yves M’Voto, Joe Cardle and Michael Paton are all without a club. 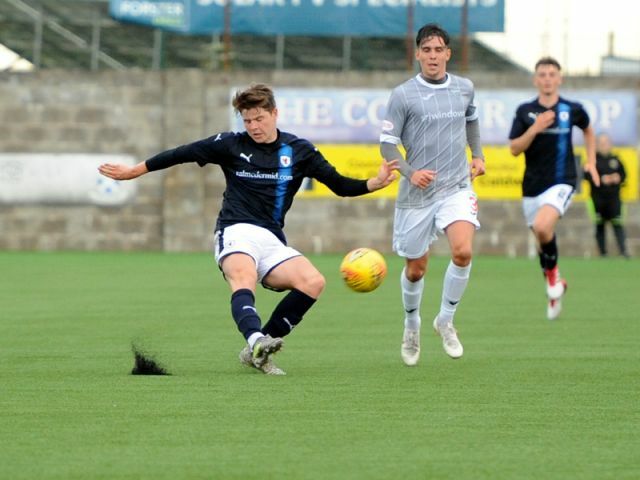 However, as you’d expect from a side looking to gain promotion back to the top-tier, the Pars have made some strong looking acquisitions, two of whom have enjoyed spells at Stark’s Park in the past, in Aidan Connolly and Louis Longridge. 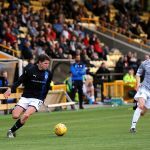 Their much changed backline could feature new signings Jackson Longridge, Mark Durnan and Danny Devine, while their midfield has been augmented by former Sunderland player Tom Beadling, who enjoyed a loan spell at the club last term, while Joe Thomson, who was a stand out during temporary stints at Dumbarton and Queen of the South, has also signed up for the upcoming campaign. Rovers will also have something of a new look about them this term, after a raft of players left the club, with five heading in the opposite direction. 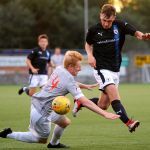 Ex-Falkirk and Queen of the South goalkeeper Robbie Thomson has been brought on board, along with the former Cowdenbeath, Forfar and Montrose midfielder, Lewis Milne. 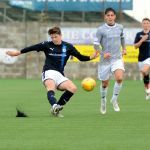 He could be joined in the middle of the park by the aforementioned Wedderburn, while ex Dundee United midfielder Grant Gillespie has also signed up. 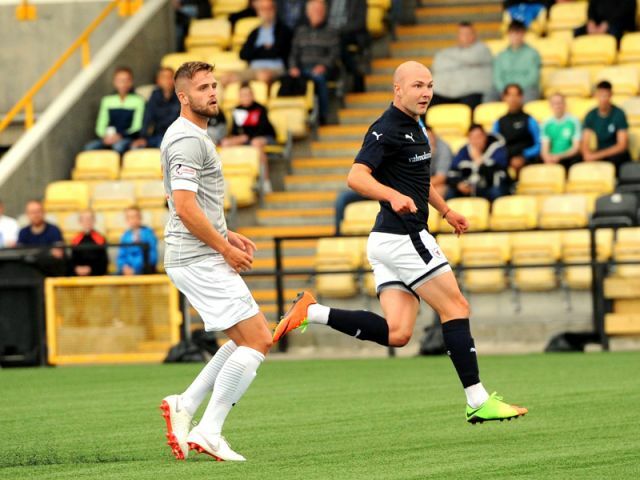 Up top, Chris Duggan will look to replicate the goal scoring form which saw him lead the scoring charts at East Fife last term.